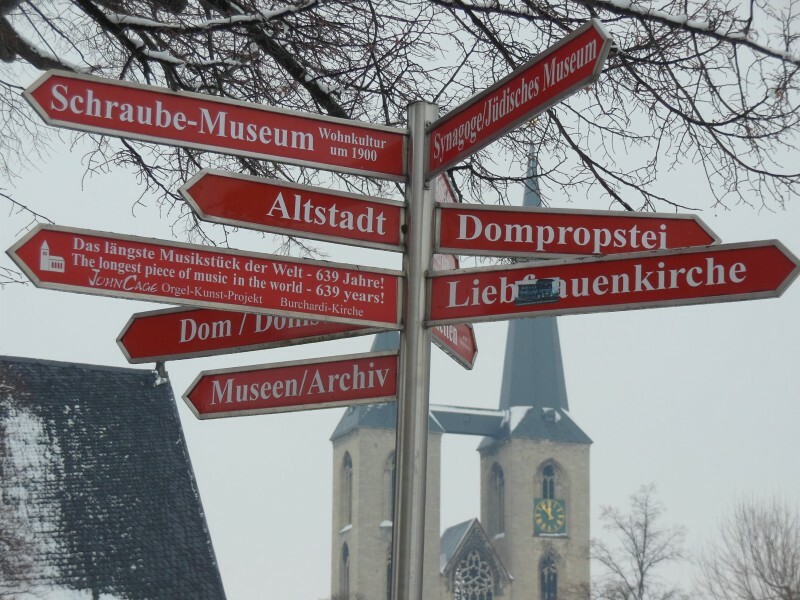 It was snowing and we were lost in Halberstadt, Germany looking for a John Cage performance. There were signs: “The longest piece of music in the world-639 years!” but we still had to stop passersby and ask in terrible German “Wo ist John Cage?”. We followed a well-intentioned woman and two toddlers several blocks in the wrong direction and generally walked in circles until we joked that we were turning into the John Cage performance ourselves. Finally, we found it, an abandoned church which appeared unoccupied. We knocked on the door, and a friendly woman welcomed us, only after requesting The Husband of Bath remove his hat (apparently an abandoned church housing a John Cage installation still has it’s formalities.) The church was freezing inside, and surprisingly full of people for an afternoon in March. One chord on an organ, droning all day, for months, is what we heard. 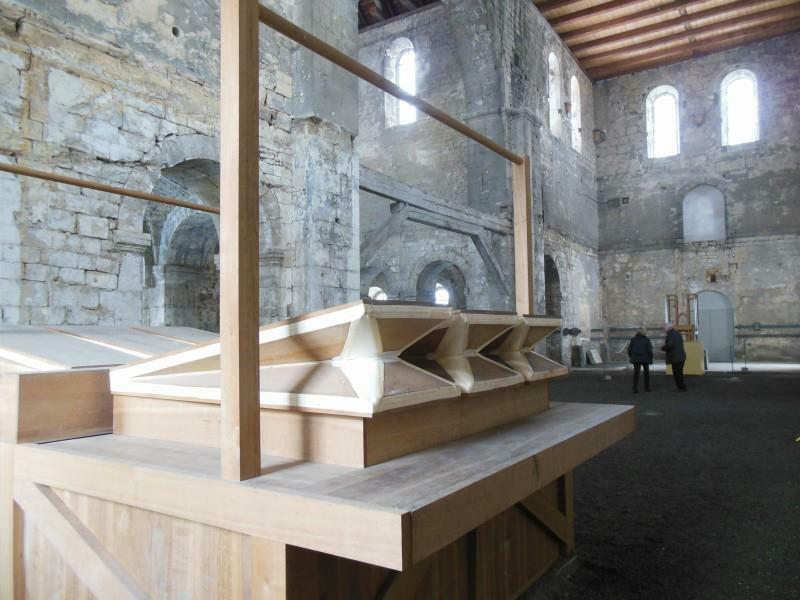 The organ was built to perform As Slow As Possible, by the composer John Cage for 639 years. As of the time of our visit, the organ had played only 11 chords since it’s creation, having begun with a 17 month rest on Cage’s birthday on September 5, 2001. The organ itself has just one set of pipes (they are changed when the chord changes) with pedals held down by weights. The bellows are in a separate area of the church. 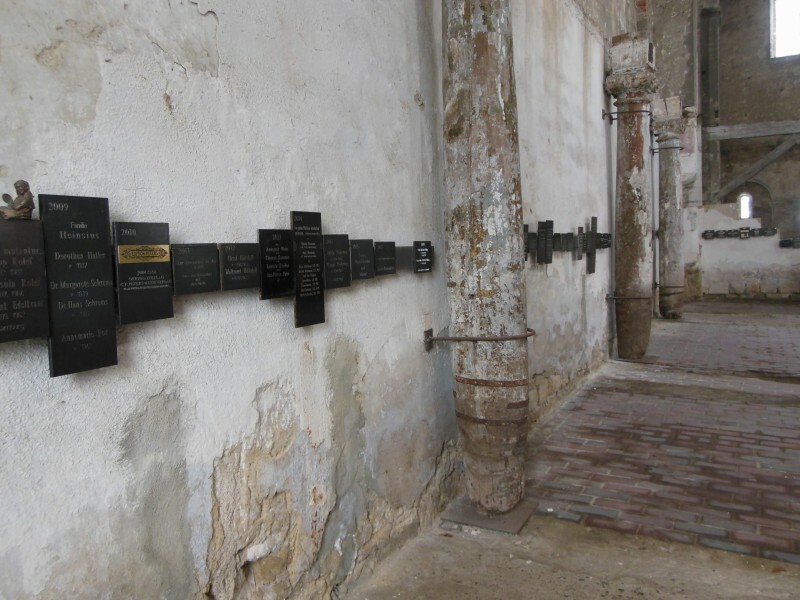 Along the walls of the church is the “donor wall of the future” with plaques of various donors in commemoration of years up to 2640. The installation, know as Organ²/ASLSP (As SLow aS Possible), is just right: seriously executed but cheeky. The pairing of a contemporary organ composition with a church which had it’s first organ installed in 1361 is a great way to think about the history of organ music, and the buildings where it is performed. 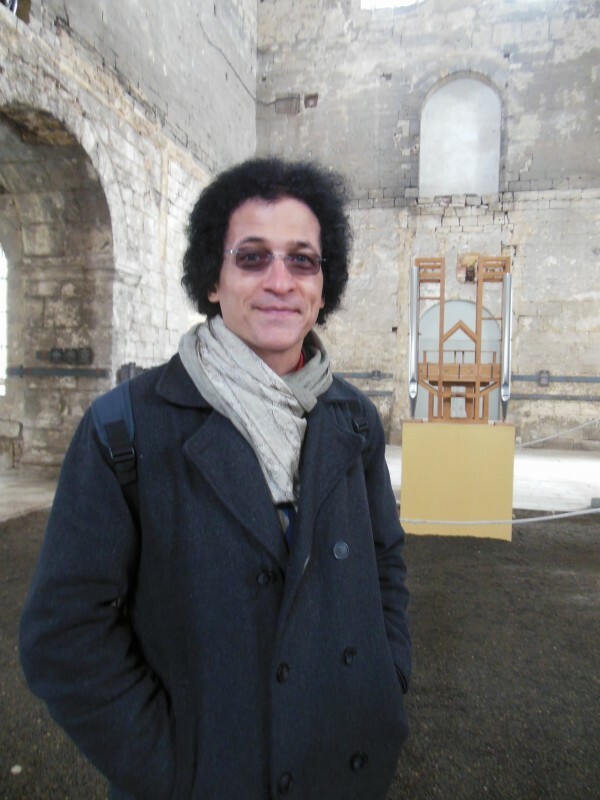 Halberstadt should be proud to host such an art piece, and since this is the reason we visited the town, it is a savvy choice to attract tourism as well. The locals seem to enjoy it as much as we did–later that evening an elderly man stopped to chat with us, and after learning that we were American, he scowled at us, telling us it was Americans who bombed his home during WWII. Then he lightened up a bit and asked “Do you like music?” and when we said yes, he beamed at us and asked “John Cage?”. How we got to Halberstadt: train from Leipzig. Where we slept: Halberstaedter Hof. Price: €60 for a double. Recommended: yes.